Our mid-range model features a 300 mW laser, higher resolution CCD detector, powerful internal processor with color touchscreen controls. 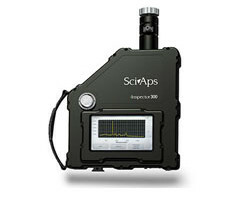 The Inspector 300 is the best choice performance/price for the widest range of compound analysis and best limits of detection. 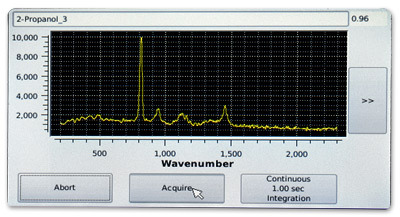 The flagship Raman analyzer is the ideal unit for in-field operation. It features an ergonomically designed shape, and a comfortable hand-strap unlike competing models. 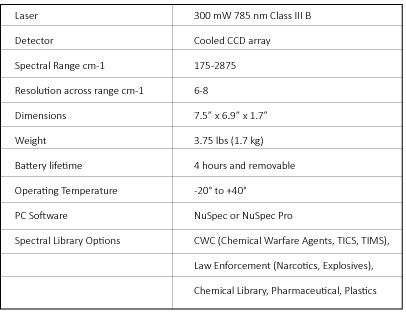 It is a rugged, field hardened and wide-ranging analytical package. Take it anywhere — the field, the factory floor, a warehouse, loading dock or lab. 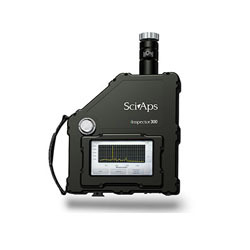 The Inspector 300 is optimally configured to balance size, speed, power and recognition of a range of compounds for analysis. It operates at the laser wavelength of 785 nm, yielding a strong Raman signal compared to higher wavelength Raman units, thus exhibiting the best performance for most samples (the 80-90% of the universe that doesn’t suffer from high fluorescence). The Inspector 300 features a powerful 300 mW laser and high resolution CCD detector – built to be the workhorse of the family. 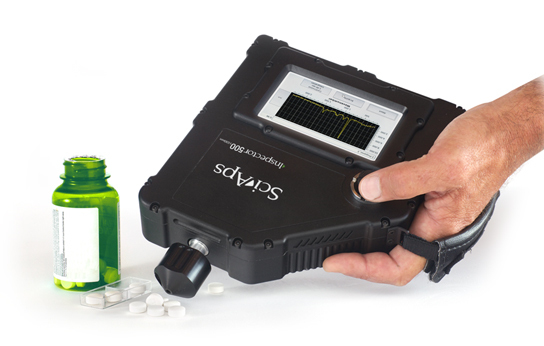 • Powerful: The 300 mW laser means it’s one of the most powerful handheld Raman’s ever built. • Lightweight: At 3.7 lbs, it’s easy to carry while testing samples for an entire day. • Temperature-controlled CCD detector: The analyzer remains stable throughout hours of testing in the field, in the warehouse, on the factory floor or at the lab. • Thumbwheel control: incredibly easy to manipulate and operate single-handedly, for all types of users, with or without gloves. • Powerful processing: Fast, accurate matching to stored compound spectra and sophisticated statistical models provide results within seconds. • Report generation: Create reports on the spot or download data instantly with WiFi and/or USB connectivity. • Good mechanics: The Inspector 300 is equipped with a vial holder, a novel 90-degree sample tester ideal for bagged samples, and a point-and-shoot adapter, allowing for easy testing of virtually any sample type. The point-and-shoot adapter is user adjustable to sample depth, allowing easy adaptation to thick or double-bagged samples, or sample bottles. For more information on The Inspector 300 please visit our Knowledge Center.